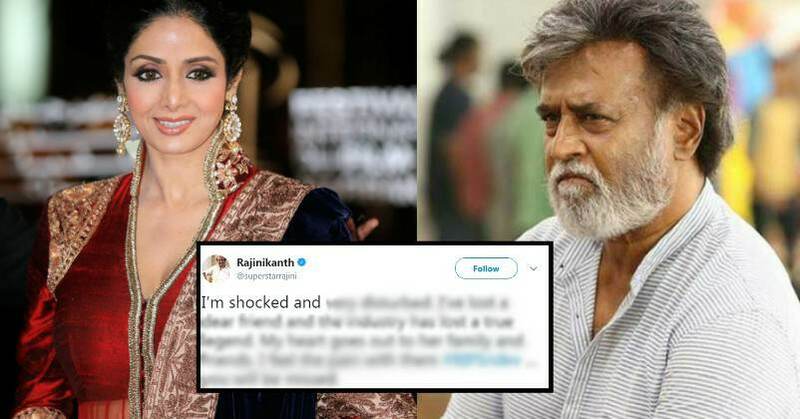 Everyone woke up to the shocking news of Sridevi’s death. We still can’t believe that she’s no more with us. Yesterday night, she suffered from cardiac arrest, while she was in Dubai attending her nephew’s wedding. Yes, she was in Dubai with husband Boney Kapoor and daughter Khushi Kapoor. Jahnvi wasn’t there with them as she was busy shooting for her new movie. The whole TV and film fraternity is shocked to learn about this. Fans are pouring in emotional messages on social media, because they aren’t able to digest this news. It was Sanjay Kapoor who gave a confirmation of this news to the media. Bollywood celebs expressed deep grief and said that the industry is incomplete without her. We have seen them in many movies like Chaalbaaz, Ranuva Veeran, Mahaguru, Dharma Yuddham etc. This is a big loss for all of us. She was fit and fine and looked in her early 40s even though she was 54. We are deeply saddened by this news. May her soul rest in peace.